Is your startup looking to find new business opportunities, connect with existing clients, or seek potential investors? You can make it all happen by applying to be a part of Startup Spotlight at SXSW 2019. Running March 11 as a new addition to the SXSW Trade Show, Startup Spotlight is a casual exhibition that brings 30 of the most promising startups together in a reception setting with complimentary drinks. At Startup Spotlight, companies taking the tech world by storm get to pitch their business in a fun, relaxed environment at SXSW. During Startup Spotlight, participants are encouraged to provide demos and showcase their innovations to attendees. 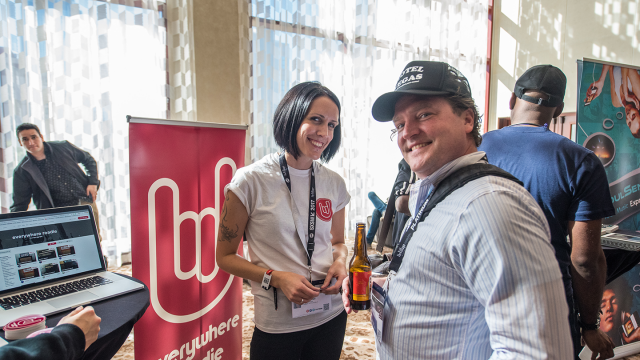 Many life-changing connections happen between startups and the hundreds of attendees of SXSW – just ask Twitter, GroupMe, or Foursquare. SXSW is a well-known catalyst for startups. In fact, approximately $5.43 billion* has been invested in startups participating in events at SXSW between 2009-2018. Don’t miss your chance to unlock new doors and propel your startup to the next level. There is no application fee, so what are you waiting for? Apply for Startup Spotlight today!